Check out the latest IAIA enews message, sent on 15 December 2015. Student Fee Waiver program: The application deadline for the student fee waiver program has been extended through 4 January. This program allows up to 20 students a waived conference registration fee in exchange for providing in-kind services on-site at the conference. Program details and application instructions are posted online. New Young Professionals Bursary: IAIA is pleased to announce the new Young Professionals Bursary. For each annual conference, up to 15 bursaries will be given to young professionals in the form of waived registration fees. Potential candidates are those who have never attended an IAIA annual conference, are 30 years of age or younger and currently employed in a field related to impact assessment at the time of application, and are living and working in a country listed under the World Bank’s GNI (gross national income) categories of low-income economies, lower-middle-income economies, and upper-middle-income economies. Full application instructions and award details are posted online. Bursary applications are due 15 February. Sponsorship opportunities: IAIA is currently seeking sponsors for the IAIA16 conference. Download the Sponsorship Opportunities brochure in English or Japanese on the IAIA16 sponsorship site to find out the various ways your company can reach out to over 700 environmental professionals from 80+ nations. Book your sponsorship by 31 December and receive one extra FREE registration to IAIA16. Presentations from the recent Sustainable Mega-Infrastructure and Impact Assessment Symposium in Panama City, Panama, are now available for download. Coming out of the Panama Symposium, IDB and IAIA agreed to work together to explore the creation of a Latin American and Caribbean multi-sectoral alliance in 2016. The alliance will advance a series of aspirational principles, discussed at the symposium, that will take sustainable infrastructure beyond business-as-usual. For more information, read the press release. The IAIA Special Symposium on Sustainable Mega-Infrastructure and Impact Assessment was held 1-3 December 2015 in Panama City, Panama. For more information, visit the symposium website. The premier sponsor of this event was the Inter-American Development Bank. 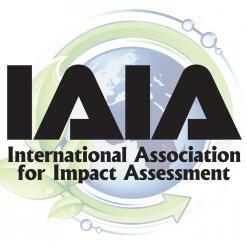 IAIA is looking to recruit an editor (or editorial team) for our journal, Impact Assessment & Project Appraisal (IAPA). If you are an enthusiastic, energetic team player who wants to work with an exceptional group of international experts from across the globe, then we want to hear from you! Download the call document for the details of this position, including the application requirements. The new editor (or team) would ideally commence full duties from early to mid-2016. Expressions of interest are due by 31 January 2016. Please direct all questions relating to this call for expressions of interest and submit proposals to IAIA’s Executive Director, Jill Baker. Congratulations and welcome to IAIA member John Fry, who has been appointed to join Luis Sanchez as a Book Review Co-Editor for Impact Assessment and Project Appraisal (IAPA), IAIA’s quarterly professional journal. In working to expand our student and young professional membership, IAIA is now offering a heavily discounted membership rate for students when a professor or university can find a group of 20 or more students to join at one time. This new student bulk membership program provides a discounted student membership (US$35 instead of US$55 for student membership, compared to the US$110 regular membership rate) to a minimum of 20 students when facilitated by the university. The university must collect the payments and student contact details, and then forward the funds and those details at one time to IAIA. If you or a colleague are interested in facilitating this option for your students, please contact Shelli for more information. IAIA HQ will be open through 12:00 noon (CST) on Thursday, 24 December, and will reopen on Monday, 4 January. Victoria Hart is preparing a guidance document for completing predictive multimedia human health risk assessments (HHRA) as part of the EIA process. She is seeking information from scientists/risk assessors and regulators in Canada, USA and internationally regarding current resources, examples, and considerations surrounding HHRAs in support of EIAs. If you have any information to share with her, please contact Victoria directly.